Number one in off-road traction. 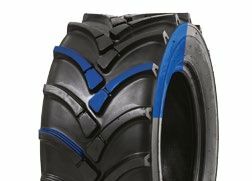 Purpose-built for tough applications, it’s the ideal tire solution, providing exceptional durability in addition to outstanding traction. CAMSO SKS 511 (formally SOLIDEAL SKS R-1) pattern tyres offer outstanding on and off road performance.. 50/50 Lug/Void Ratio pattern for optimum surface contact, with stepped lug for rapid self cleaning and increased traction.